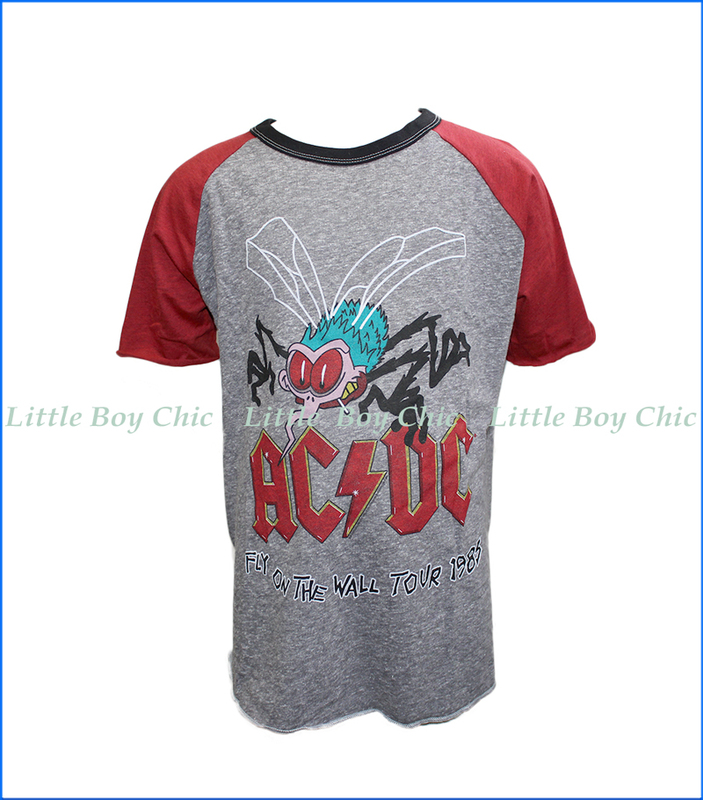 Australian rockers AC/DC have their day in this vintage short sleeve raglan tee commorating their 1985 'Fly on the Wall' tour. 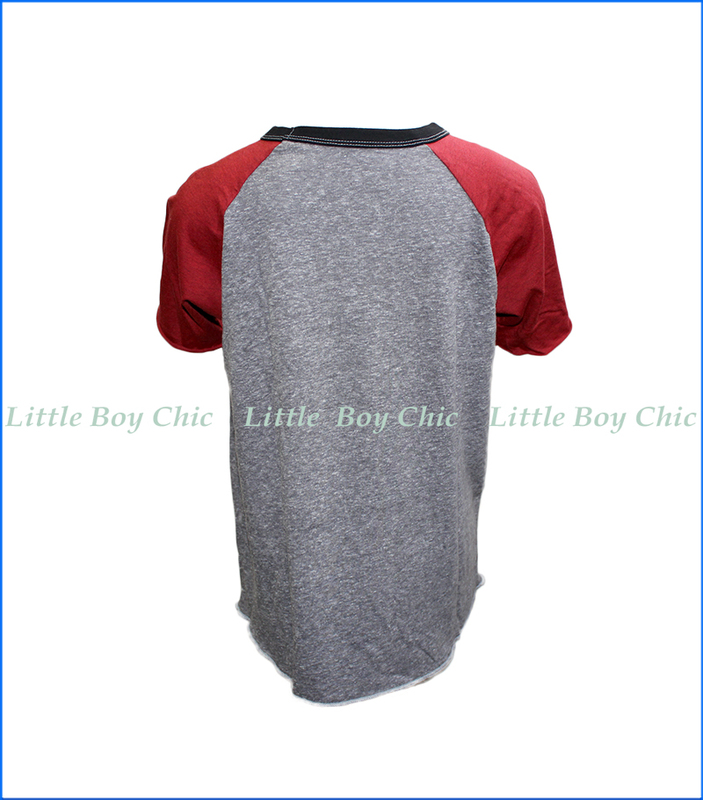 Maroon raglan sleeves and contrast ringer crew neck. Soft hand feel. Shirt tail hem.